Have you ever wondered what is your sweetheart TRULY feeling for you? Does your significant other still love you? Is your partner REALLY attracted to you? What will HAPPEN next in your relationship? How to make your relationship work? 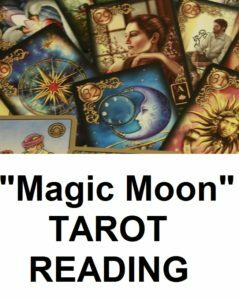 “The Magic Moon” tarot reading brings you a great insight in the inner world of your significant other and the development of your relationship. The Magic Moon tarot reading reveals the hidden thoughts and secret feelings of your sweetheart for you. The advice of the tarot cards will help you with solutions for your love and relationship problems. Georgia, the tarot cards show the fact that Nick is not ready for a long term relationship at the moment. There is confusion in his life for the next 6 months and it is not advisable to have high expectations. None the less, Nick has indeed feelings for you, a relationship with him is quite possible, just be prepared to understand his point of view. Also, the cards show the fact that there is another woman in Nick’s life and that woman will make her presence known throughout the next year. You might want to take that into consideration when deciding to engage in a love relationship with him. Both you and Nick can benefit from an open relationship at the moment, with very little strings attached, thus avoiding problems at work and unnecessary complications. Nick’s past is much complicated than you imagine and this will create issues for you especially at the start of next year. Kim, the tarot cards show the fact that you will have 2 children this lifetime. Both of them will come after you are of age of 30. Next year is a very difficult year for you and your husband and it is not really advised to have a child within this period. Excessive stress can have very bad consequences on the pregnancy and also, your relationship will be put to the test. You might want to look into a close friend of yours. She will cause you marital problems in the next 6 months, make sure you take every advice you get with a grain of salt. The tarot cards show issues with the second pregnancy and you should be very careful at the environmental factors. They will be the ones to pose a danger to your health. Financially, things will get better starting next year so the peak period for trying for a child will be the first months of the next year. The tarot reader is the medium, the tarot cards are the ones that in a tarot spread can have powerful significations; the tarot cards “speak” through their images and symbols and an experienced tarot reader has no problem in understanding their message. With more than 700 cases solved, we offer you high quality professional tarot readings. 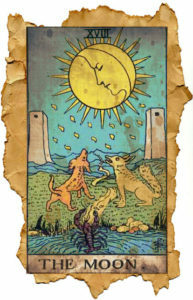 The Rider Waite tarot deck is used for the tarot readings. If you never had a tarot reading, this is the perfect moment to start! Offer yourself a unique gift and you might discover that, like many of our customers, you really enjoy getting a tarot reading. 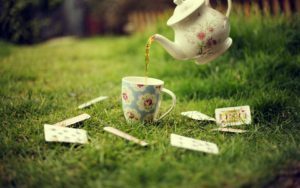 Either you prefer discussing your tarot answers with your friends and family or that you want to meditate alone on the answers, you should try a tarot reading right now to benefit from the wisdom of the tarot cards in your life. We got more than 15 years experience offering tarot reading to an impressive diversity of clients from different countries of the world. Our straightforward answers to your questions will make you love so much more a tarot reading. Our tarot readings are easy to order via PayPal. We offer you some of the best prices on the market for professional tarot readings. Place your order and make the payment and then send an e-mail to office@compatibilityzodiac.com with the proof of payment and a short story of the problem for which you need the tarot reading, and of course your question to our tarot reader. Once you made the payment, you can download (either in Rich Text Format or JPG) a document called “The Magic Moon CLIENT FORM”. Fill out the form and send it to us, or use it as a guideline. We work hard to provide you with the most accurate tarot reading possible. You will receive the answers to the tarot reading you ordered on the e-mail address that you provide, 3 to 7 business days after we receive your order. The “Magic Moon” tarot reading describes the secret feelings that your sweetheart might have for you. Jessica, woman, 24 years old: “I’ve been with this guy for 3 months, but he is not very verbal when it comes to his feelings. He said he likes me, but I wished to know more about his feelings for me, that’s when I tried ““The Magic Moon” tarot reading” out of pure curiosity. I was amazed by the answer. Since then I had 4 more tarot readings and I am very pleased with the answers and the quality of services of this website. The “Magic Moon” tarot reading reveals the true intentions of your significant other. We also have customers that prefer to ask for tarot readings in special occasions, for example, when they have to take big decisions, when they are going to a date, or celebrate their birthday, the New Year or they are relaxing during the vacation days.